Acts 2:42 – They devoted themselves to prayer. Jesus’ people will be a praying people. Shaped by scripture, shared together, and confident because of Jesus. 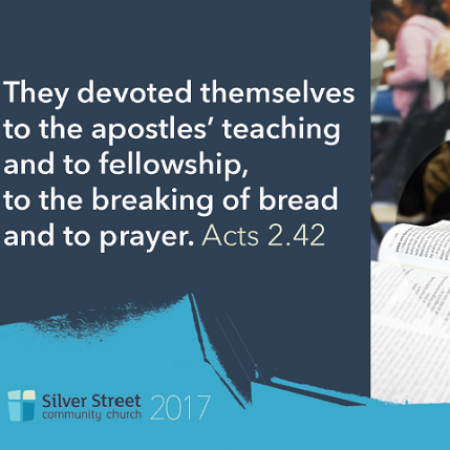 Acts 2:42 “They devoted themselves to the breaking of bread” – The Holy Spirit brings those who trust in Jesus to break bread together in order to remember Jesus. Doing so keeps Jesus’ people glad of our salvation, on the right path, united and looking forward. “They devoted themselves to Fellowship. – Acts 2:42. As the Holy Spirit brought a group of people to share Jesus He transformed them into a group of people who shared life with one another. Acts 2:42 describes to us the impact the Holy Spirit has on people as He brings them to trust in Jesus as Lord and Messiah. First in the list is that He transforms them into Bible people. That is people who are devoted to the apostles’ teaching.